Mrs. Bernice Williams Nettles Sellers, the daughter of the late Wilkin Williams Sr. and Ruth Woods Williams was born on July 28, 1929 in Effingham, SC. She departed her earthly life to her eternal heavenly home. Bernice attended the public schools of Florence County. She was formally employed with McLeod Infirmary, Bruce, and Saunders Memorial hospitals, Commander and Honorage Nursing Homes. She also worked as private duty nursing assistant for many families, and a custodial worker with Florence County District #1 school system. At an early age while a member of Meadow Prong Baptist Church, she accepted the Lord Jesus Christ as her personal savior. At the age of 12, she was awakened by the voice of God, and felt his hands upon her hands, as he led her to the family piano and anointed hands and told her to play. This was the beginning of her musical career. She played for many churches throughout the years including Meadow Prong Baptist, Elizabeth Baptist Church, Maxwell Grove Baptist Church, Carver Street Baptist Church, Mt. Pisgah Baptist Church, Olive Grove Baptist Church, Monumental Baptist Church, and New Haven Methodist Church to name a few. She played for 78 years, and to hear her music, you knew it was a true blessing from God. She received a lifetime achievement award from South Carolina Baptist music auxiliary. Bernice was united in holy matrimony to John Wesley Nettle for 49 years. This union was blessed with eight children, three whom preceded her in death. She later remarried Mr. Jerome Sellers. Bernice was a Christian woman. She loved the Lord and was a pillar strength to her family and friends, and especially her grandchildren. She was a very loving, caring, and giving person, who was willing to help others in need. Throughout her life time, she never met a stranger young or old. She has a beautiful and infectious smile. She was affectionally known as “Grandma” to many she met. 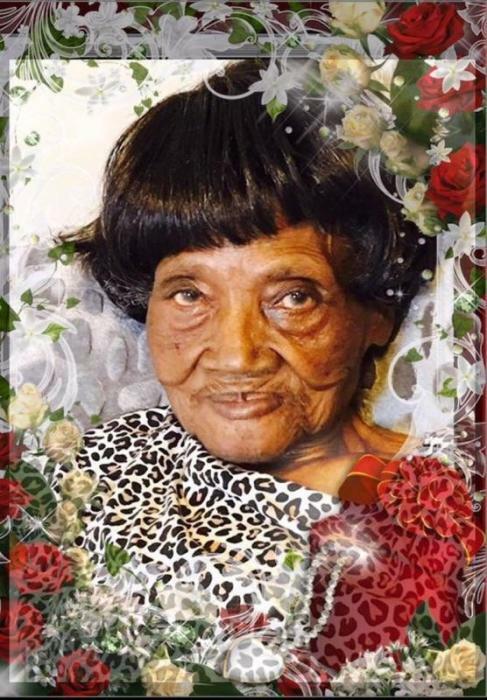 In addition to her parent and her husbands, she was preceded in death by her three sons, one step-daughter Estelle Hyman, one great granddaughter, her siblings, Clara, Pecola, Maxie, Drewie, Betty, Wilkin Jr., Winnie, and several sister and brother in-laws, and one step-grandson. Those left cherish her memories and unconditional love include: her children: Ernest (Carolyn) Nettles of Columbia SC, Della (Allen) McBride of Quinby SC, Apostle Dr. Anne (Broderick) Jackson Derr of Hickory NC, Patricia (Billy Malloy) Smalls and Athenia Neversenia Nettles both of Florence, SC. Nine grandchildren: Mansa, Truyette, James, Conan, Pamela, Raseada, Masheka, Chudney, Jamal, Travis, Teresa and Farrah; 33 great-grandchildren; 4 great-great grandchildren; 4 step-grandchildren: Johnny, Donna, Debbie, and Marc; 2 sister: Arteal Pygatt of Effingham SC and Nina Mae Frierson of Brownsville NY; 3 sister-in-law: Rose Williams of Cheraw SC, Juanita Nettles and Mary Alice Nettles of Florence SC. A host of nieces, nephews, cousins, and friends. Special recognition to New Generation staff, McLeod Hospice, personal aide Siner Woodbury, Jennifer Fleming, Darlene Briggs, Gloria Frazier, Albert Eaddy, Dr. John Mattheis, McLeod Family Medicine, Special Cousin Terrell Gregg, and special nephew Floyd Baker.